1. The value I bring to clients today comes directly from experience and relationships built over several decades of operating small businesses in the Philadelphia area. I feel like I’ve personally experienced every type of struggle and had to work through every setback that my clients share with me now. 2. Even while in high school and college, I developed a passion for small business by growing several acres of organic vegetables with my younger brothers and sister that were sold to local grocery stores and at a roadside stand from our small farm in Worcester Pennsylvania. We also raised animals for natural grass-fed meats and I was active in the local 4H club. 3. I’ve revived this interest recently while working with the agricultural and fishery businesses of southern New Jersey. I’m working to revive a failed commercial marina adjacent to my office into a sustainable aquatic farming business. 4. I improved and operated rental houses as a part-time business and built some know-how that eventually led to a leadership position with the local remodelers association. I served as local chapter president of the Bucks and Montgomery County chapter and as a board member of the National Association of the Remodeling Industry. 5. After finishing Fox Business School at Temple University, I was fortunate to be hired by Drexel Burnham Lambert, Wall Street’s most powerful firm in the mid-1980s at a time when modern portfolio management was just coming of age. I was one of the early geeks to adapt to the use of desktop computer technology for investment decision-making and was able to make a living as a Registered Investment Adviser in my own firm in Doylestown Pennsylvania for some years. 6. 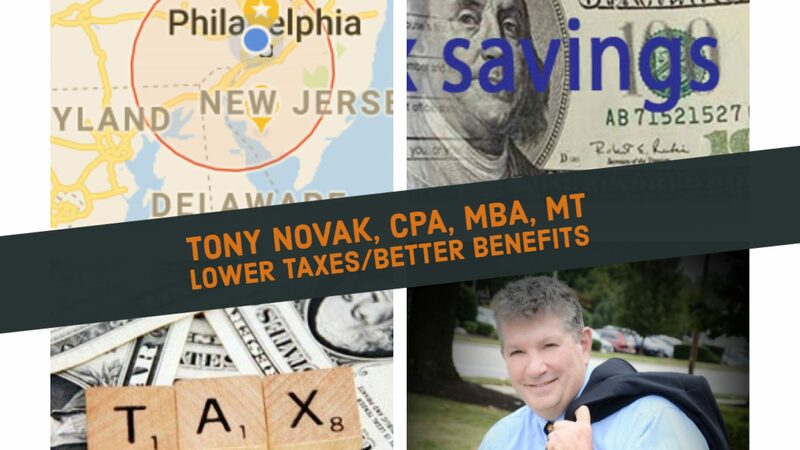 Eventually I gravitated toward small business focusing on tax planning, compensation and benefits issues. Villanova Law School allowed me into their graduate tax program even though I am not a lawyer. For many years, most of my clients were accountants and lawyers who asked me to handle their own transactions. 7. My focus on online delivery of services meant that I attracted clients from all over the country so I still maintain insurance licenses in all 50 states and DC that are used by Freedom Benefits and other Web-based financial service operations. Other services are allowed across state lines through reciprocity laws. My accounting systems is up-to-date with tax filing information in every state. 8. I pride myself on being easy to reach online and I still give out my personal cell phone number. Clear communications are a personal passion. 9. My strength, I think, is in the ability to match a client to the right person, service or company that will best fit their specific need. I don’t pretend to know it all and I want to make it clear that I work as part of a team in almost every project. ⟵Where is small business health insurance headed?